Ashok Leyland, the country's second-largest commercial vehicle maker, has achieved its highest-ever market share at 34.7 per cent during the first quarter ending June 2017. The major contributor is the iEGR (exhaust gas recirculation) technology for BS-VI engines launched in April 2017, said Ashok Leyland Chairman Dheeraj G Hinduja. Hinduja said that despite difficult situations and an increase in competition, the company has increased its market share, which is not an easy task, due to the investments the company made in technology, plants, and products. The company is well positioned to capture the upsides owing to developments in the economic and business environment, some of which are local phenomena and some triggered by global trends, the chairman added. "There is growing confidence that we are on track to consolidate our market gains in India sustainably and pioneer market-relevant technologies in our field," said Hinduja. 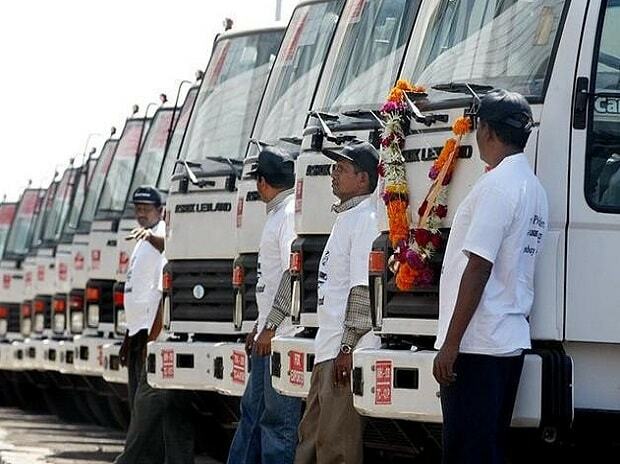 Ashok Leyland Managing Director Vinod K Dasari said that the company has received a good response to iEGR. He added that the company plans to ramp up its capacity regarding the new technology. Company CFO Gopal Mahadevan added that the company is planning to export vehicles with iEGR after seeing a good response for the technology. Dasari said that the company achieved No 12 rank in the truck segment and No 4 rank in the bus segment across the world last year. This has been helped, particularly, by continued growth in its market share in the domestic market, where it has grown to 32 per cent in the M&HCV (medium and heavy commercial vehicle) segment. The company aims to be among the global Top 10 names in medium and heavy trucks and among the Top 5 in heavy buses that are larger than 8 metre, he added. In international markets, the company has been growing quite well; except for last year, when growth was somewhat muted, primarily because of the drop in the Saudi Arabian market where it used to sell 200 vehicles every month, said Dasari. The light commercial vehicle (LCV) volume increased by four per cent and the company has maintained its market share at 15 per cent. "We hope the LCV market, which is now bound to recover, will provide much more opportunities in the near future," he added. The revenue from its parts business grew 31 per cent. The company has also seen growth in its defence business. Ashok Leyland has expanded its network to 2,600 outlets from 577 five years back. The company is making a profit in each of the outlets. The company's share price has gone up 256 per cent, while the BSE auto index grew only 66 per cent in the last three years. Meanwhile, the company has reported a 61.7 per cent drop in profits during the quarter ended June to Rs 111.23 crore as against Rs 290.78 crore a year ago. Mahadevan attributed the drop to lower export mix and lower top line due to industry slowdown, among other things. The mix is expected to significantly improve in the coming quarters as the company has already got an advance to the tune of $50 million from Ivory Coast. Revenue during the quarter fell moderately by 0.4 percent to Rs 4,514.4 crore from Rs 4,531.3 crore in same quarter last year. Besides the market slowdown, the company reduced its production by 25 per cent at its Pantnagar plant to help the company's dealers during the GST transition. "Next three quarters look promising as the demand is expected to pick up on the back of government spending on infrastructure as well as positive impact of GST," said the company.